“Although I am sure these tactics would be standard procedure for the arrest of a violent offender, I have questions regarding their necessity in this case,” he wrote. CNN has denied being tipped off in advance of the raid. 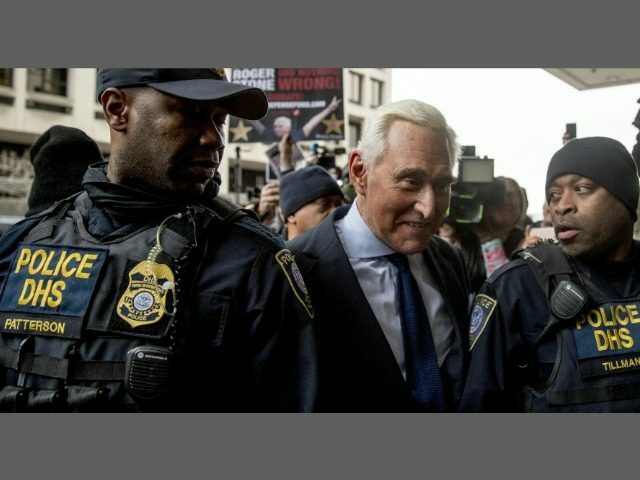 Stone described the January 25 arrest hours later, declaring his innocence. “This morning at the crack of dawn, 29 F.B.I. agents arrived at my home with 17 vehicles with their lights flashing, when they could simply have contacted my attorneys and I would have been more than willing to surrender voluntarily,” he said. “They terrorized my wife, my dogs. I was taken to the F.B.I. facility, although I must say the F.B.I. agents were extraordinarily courteous. I will plead not guilty to these charges. I will defeat them in court. I believe this is a politically motivated investigation.,” he said.